The major papers all carried obituaries today for William Taylor, a leading civil rights lawyer who served the cause of justice for all as a member of the the NAACP Legal Defense and Education Fund, the United States Commission on Civil Rights, and the Leadership Conference on Civil and Human Rights. You can read the details of of Mr. Taylor's career achievements, among them fighting to de-segregate the schools of Little Rock in 1958 and directing the research that led to the Civil Rights Act of 1964 and Voting Rights Act of 1965, in the obits linked above, but on this blog, I want to celebrate him as a native son of Crown Heights. Born in 1931 to Lithuanian Jewish immigrants in our neighborhood, Taylor said later in life that his commitment to equal rights began in Brooklyn, where he was taunted with anti-Semetic remarks in what was then a Jewish and Italian area, and where he witnessed racial hostility firsthand when Jackie Robinson joined the Dodgers in 1947. He later attended Brooklyn College, earning a suspension from the college president when, as editor of the college newspaper, he ran an article that asserted a faculty member was denied tenure for his political views. The college retaliated by trying to keep Taylor off the Civil Rights Commission in the 1960s (they failed), but relented and awarded him an honorary degree in 2001. 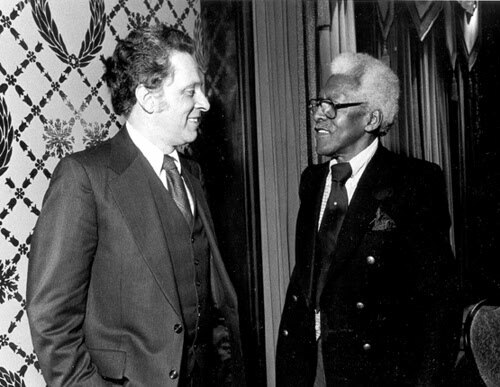 Teachers, when you get back to school next fall, remember to tell your students about Bill Taylor, someone who learned tough lessons from his experiences of race and prejudice in Brooklyn and then spent his life in service to the promise of equal rights. After seeing the Crown Heights Oral History Project in action, I'm confident that Crown Heights can still produce students of this caliber, who can learn from all the challenges around them and build something better for the future. “In a community, longevity counts.” Quite right. So, for that matter, does property ownership, business ownership, community involvement, and a whole host of other things that are frequently related (but need not be). There are lots of ways to have “standing” or “value” in a community, or more to the point, to make an impact on a community, and while they are often related, they need not be. Someone may live quietly in their home for thirty years, never going to meetings or owning property or a business, but contributing to the community simply by being a neighborly soul. Someone else may purchase a building, rent the top floors and open a business downstairs, and someone else may move in as a renter and immediately get involved in all sorts of community initiatives like fighting to save bus routes or creating community gardens or promoting anti-violence initiatives. All of these people contribute to the community (or have “value,” if you want to go there), and what unites them all isn’t their rank by any metric, but their character, which I loosely called “exceptional” (this language needs refining as well, but we’ll keep it for now). “If you're new, you're less important than the old heads.” Well . . . There are times when certain characteristics entail privilege, and that’s not necessarily the problem. Property and business owners have more clout with police and electeds because they pay taxes and often have money to spend, and because they’ve made a sizeable investment in the community. Longtime residents and older folks are the leaders of community orgs because their years of experience and well-established networks make them more effective in these roles. Community activists, whether old heads or newbies, speak for the community and dictate all sorts of local initiatives (street trees, traffic calming, policing) because they’ve invested the energy to do so, even if their vision isn’t necessarily representative. These people have spent money, time, and energy here, and they deserve the status and privilege that their efforts entail. But going back to that statement – would we feel comfortable with “if you rent, you’re less important than property owners” or “if you don’t go to community meetings, you’re less important that those that do” ? In short, does it make sense to extrapolate from the specific importance of longevity, ownership, or involvement to a general theory of “value”? Yikes. Yikes, in particular, if you’re trying to reach certain people in Laurel and Abeni’s film (I was trying to find a clip of it – anyone know if it’s up anywhere? ), namely, the teens standing across the street from the CHCA meeting or the young white professional whose comments provoked the strongest negative reaction at the screening. (On a lighter note, I started to title this post “Anti-Exceptionalism and Systems of Value” before realizing that looked like the title of a really tedious post-Marxist pamphlet. I don’t know that I’ve made the content less so, but hey, I tried). Last weekend, I sat in on one of the most interesting community forums I've ever attended. 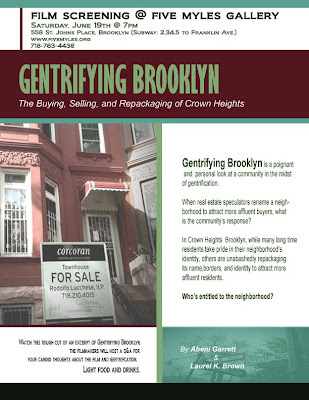 The occasion was a preliminary screening of the upcoming film Gentrifying Brooklyn: The Buying, Selling, & Repackaging of Crown Heights, and our hosts were local filmmakers and bloggers Laurel Brown and Abeni Garrett (check out their great work at Nostrand Park). The agenda was simple enough: eat some delicious food from Joey's Gourmet Lunchboxx (whose spectacular Hawaiian sliders will have me making regular pilgrimages), Superwings, and the Pulp & the Bean, watch a short clip of the new film, and then talk about it. 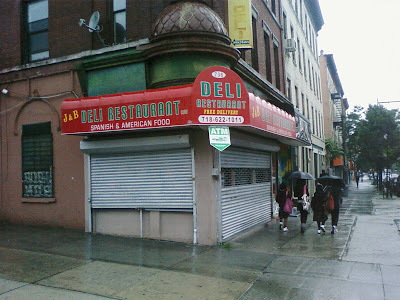 The grub was great, and the filmmakers picked a great organizing principle for their clip, namely, asking a broad variety of residents where they lived (Prospect Heights/Crown Heights/Crow Hill) and then asking them to elaborate on what this meant for them in terms of identity with/ownership of the neighborhood. I don't want to diminish the film in any way, and I've no doubt the finished product will be spectacular, but on this night, everything I've covered so far was prologue. What followed was nearly two hours of open and honest dialogue about community change and community-building, made possible in large part by the willingness of our hostesses to ask fearlessly ask tough questions. Recapping the complete proceedings here would be impossible, so instead (and because I need a way to organize my thoughts), I'll offer five key points (or lessons learned) that I took away from the things my neighbors said. 1. Community starts with hello. One man in particular raised hell about new neighbors not greeting him when they pass him on the street, but his comments were repeated by speakers across the board throughout the evening. It's a fair and simple point: if we can't greet each other, we'll always be alien to one another. Admittedly, even this is tricky, as it can be hard to navigate gender, culture, and class dynamics appropriately. By way of example, the lady HATES it when men tell her to smile, as she feels it imposes their gendered expectations on her (as she rightly points out, no one ever tells me to smile), but she knows that the older gents who offer up this advice often mean well . For more food for thought, see MHA's directions for white folks greeting black folks here, and ensuing commentary. But nothing worth doing is easy, and sometimes you have to get it wrong to learn. 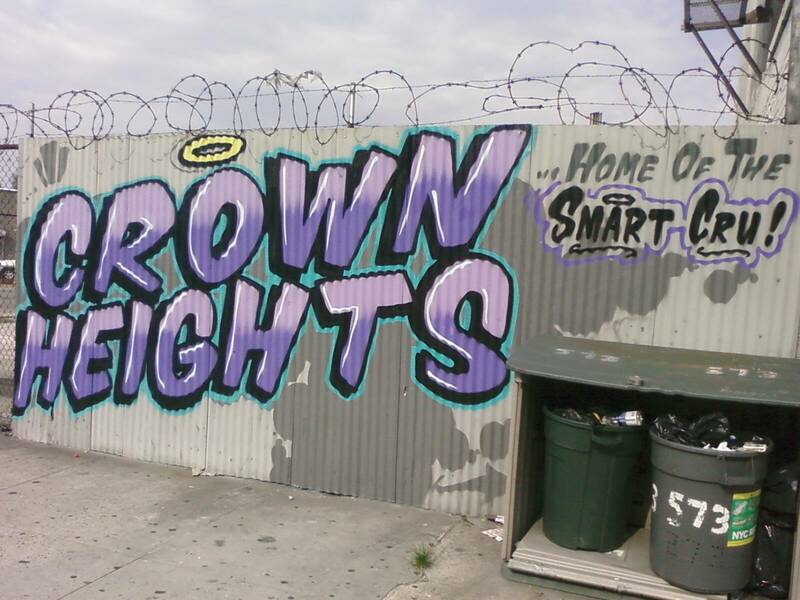 Greet away, Crown Heights. 2. Community is a choice. This was another near-consensus point, one which I thought was best encapsulated by a woman who stood and said "My beef is with people who don't care about community." Another young man echoed her comments at the end of the night, freely offering that he's new to the area but adding that he knows the only way to build a community that he wants to live in is by reaching out to neighbors, whether by greeting them, attending community meetings, or standing with them on any number of issues. Choosing community doesn't mean choosing a particular identity or privileging any particular viewpoint, but it does mean prioritizing opportunities to think and act collectively. 3. 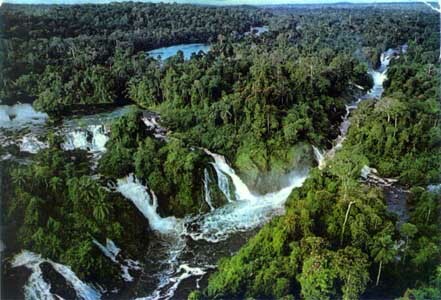 Think green. Not like that, like this. One longtime neighborhood broker (who's been interviewed for the film) showed up to emphasize this point, arguing that it's always been property owners and, to a lesser degree, business owners, who've driven gentrification. The rationale, as he described it, is very simple: they're protecting and improving their investment by driving up property values and prices, and they have a very powerful incentive to do so. By way of example, we heard from Montrose Morris, who noted that the moniker "Crown Heights" replaced the original neighborhood name of Crow Hill (there's some debate about the original location of Crow Hill, but that's for another day) when the area was first "gentrified" as a bedroom suburb at the turn of the last century. 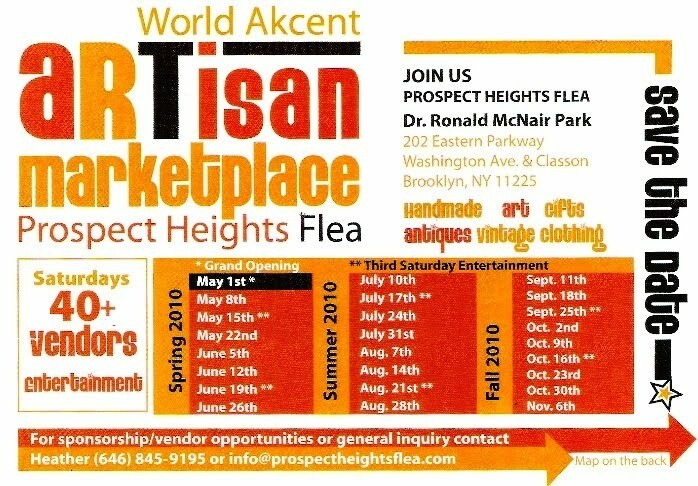 Today, our broker noted wryly, a group of interested individuals is trying to re-brand the area just north of the Brooklyn Museum in Prospect Heights as "Museum Heights," even as the Prospect Heights name is creeping east into Crown Heights real estate listings. 4. Landlords and tenants aren't exactly on the same page. I was blown away by how many landlords showed up for this event, and particularly by how forcefully they addressed questions of entitlement, ownership, and improvement. From homeowners with a single basement apartment to rent to some fairly big property managers, these folks had a clear and remarkably unified message: We pay the taxes that bring the city services to our neighborhood, and we are the ones with the most to gain or lose depending on the quality of life in the area. That's why we call the police, that's why we seek out Impact Zones, and that's why we rent to people who we're sure will pay their rent on time and treat our places nicely. If you want to call that prejudice, go ahead. I don't mean to suggest that everyone thought this, but it was echoed by several individuals of all races and ages. A number of people replied in defense of longtime renters pushed out by rising prices. "Where do these people go? 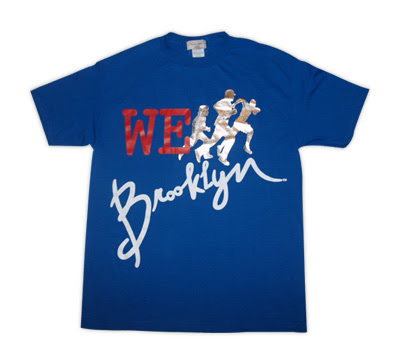 East New York? Prison?" asked one man. Another speaker pointed out the drain of families from unprotected units, noting that you can see this playing out on side streets off Franklin. If the buildings are bigger than six units, they're rent-stabilized, and you're much more likely to see kids out front. After a week of walking around the neighborhood with this in mind, it's certainly the case. Others worried that the landlords' definition of entitlement necessarily excluded a whole class of people who, for whatever reason, can't afford to own property. Are they lesser citizens on this account? In the years leading up to the French Revolution, an economic adviser named Turgot drew up a very simple taxation-voting scheme: for every unit of property you owned, you got one vote and paid one unit of tax. 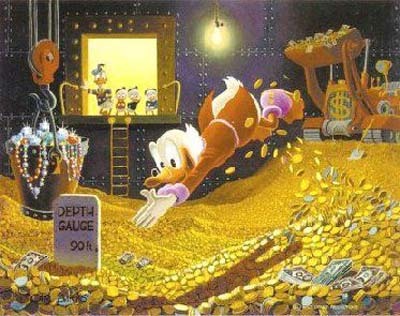 Wealth, therefore, was proportionate to both power and responsibility, and Turgot thought himself terribly modern for having devised such a system. Two and a half centuries later, does it still sound so good? 5. Entitlement is tricky. The landlord-tenant divide highlights this most vividly, but the question of who has the right to determine the course of the neighborhood sneaks in all over the place. Do longtime residents deserve pride of place? This seems fair to some, but others will point out that many of Crown Heights' newest residents are migrants and immigrants, and not just young professionals. Do local businesses have an unabridged right to do as they please, or should they make a conscious effort to recognize resident needs? Can we even privilege the voices of those who are most active in our community, the civic leaders? As someone pointed out, only certain people have both the time and inclination to attend community meetings, and they may not speak for everyone, a fact that was highlighted by a particularly well-shot segment of the film, in which two young women were interviewed across the street from a CHCA meeting. Despite some fairly rancorous opinions of newcomers and a number of well-articulated critiques of tenants being forced out, these women had no plans whatsoever to attend the community meeting, now or ever. To some, this amounted to a willing abdication of responsibility and opportunity to be part of the conversation, but to others, it was evidence of the need to find ways to bring these women and their views into the fold. My own final thought, a week and a day on, stems from the effort many speakers at this meeting made to distinguish the authenticity of their viewpoint. It's a natural response for anyone hoping to be heard, particularly in the context of this forum and yet, something about it seems counterproductive. To put it another way, community building requires exceptional people doing exceptional things, but it cannot be based in or on that exceptionalism. It's fantastic that someone has lived here thirty years, or always rented without prejudice, or is comfortable with people from other races on account of their upbringing, but all this does is empower that unique individual to get involved. We'll only ever be talking to each other in a room if we can't reach the people who don't define themselves this way. Community activism is, after all, about shared goals, shared spaces, and shared humanity, and less hinges on our own backgrounds, identities, and authentic views than on our ability to put all of these aside for what we find, together, to be the greater good. This rhetoric is getting overblown, but to offer something in closing, I'm of the opinion that this anti-exceptionalism (which I'm asking of all those exceptional people who DO make time to make a difference) must extend to question five, regarding entitlement. Either everyone in the community, whether they've been here a day or a decade, deserves the same treatment and the same respect for their voice, or we start splitting hairs and drawing up ways of determining value, authenticity, and status (I credit the CHCA leadership with always expressing this sentiment to newcomers at their meetings), which, as Turgot learned, ends here. Many thanks to Laurel and Abeni for such a thought-provoking evening! It's a summer weekend, so as always, there's plenty to do on Franklin. 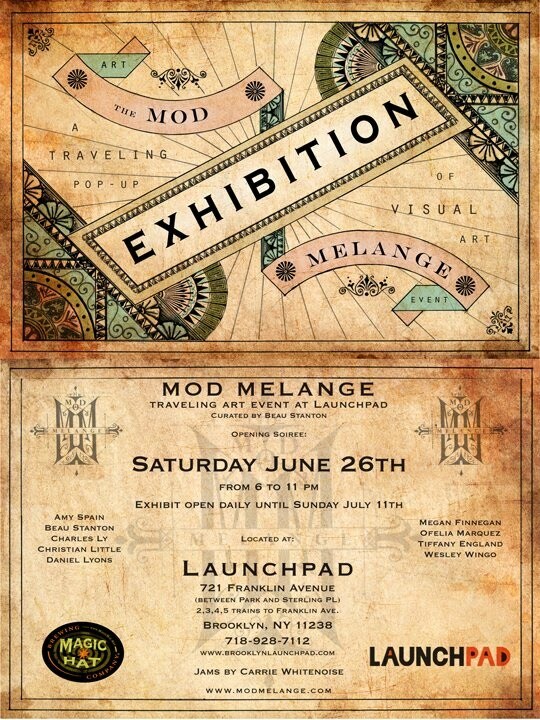 On Saturday night, traveling art show Mod Melange docks at LaunchPad for an opening from 6pm-11pm. The show runs for two weeks, and features up-and-coming local artists in a variety of media. During the day, don't forget the Eat Healthy/Eat Local Fair at St. Gregory the Great (at Brooklyn Avenue and St. John's Place), featuring demonstrations from great local foodies including ILFA faves The Pour Gourmet, the Crown Heights CSA, and Force and Flow. The event runs from 10am-4pm. Finally, and I've been meaning to post this for a month, there's a new Flea Market going on up on Classon and Eastern Parkway where several vendors from last year's Franklin Flea are hawking their wares. If you haven't already, go check them out (click the flyer above for more details). For all those in need of a way to unwind after a long hot week, check out tomorrow's Sound Bath at Force and Flow. Led monthly by multi-instrumentalist and music therapist Katie Down, these sessions last two hours, from 7-9pm. This month's iteration will feature crystal bowls (also known as crystal singing bowls). 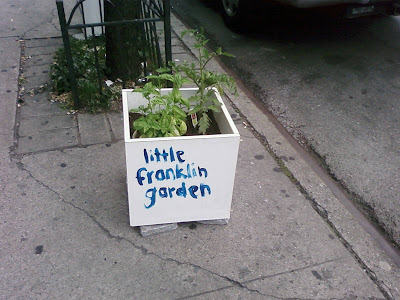 There's no shortage of community gardens in Crown Heights, but Franklin, being a commercial strip, doesn't currently have one. All that's changing, however, thanks to the efforts of the indefatigable Crow Hill Community Association, whose announcement about their latest efforts is below, with information about how to get involved. Green thumbs of Franklin, unite! 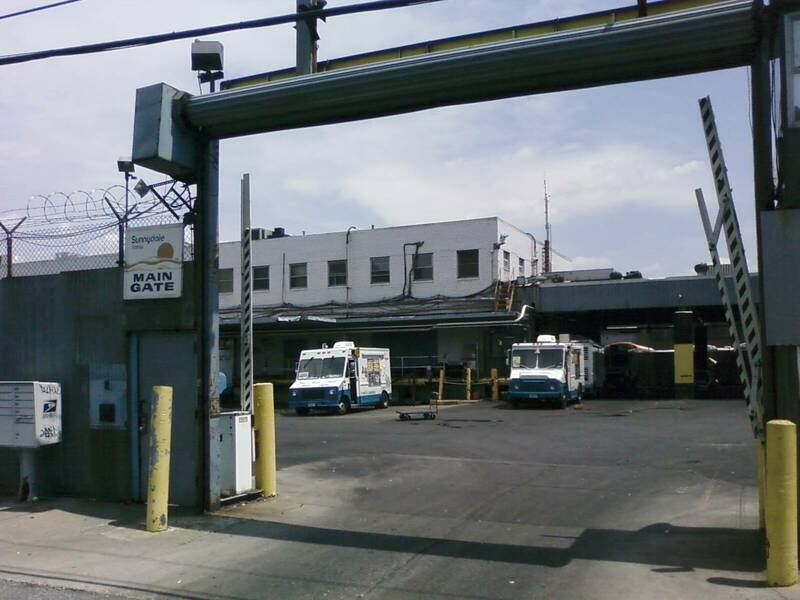 On May 16th we started a cleanup of the lot on Franklin Ave between Park & Sterling Place. We then had people sign up at our May meeting who wanted to to work by putting sweat equity into cleaning a spot so that they could plant. On Saturday and Sunday, June 19th & 20th the lot was open for those who were interested in cleaning and planting. People bring their own tools and all materials to make it happen. Those who came started on their plots. The lot is being transformed and we are hoping to make this a community effort. Thanks to the entire community for the encouraging words as you guys were passing by. 1. This (above, on Franklin between Lincoln and St. John's). 2. The people having the BBQ on Dean who have been playing a steady diet of James Brown. The fair will offer family fun opportunities to learn about local businesses and organizations currently involved in the mission of bringing better quality food into the neighborhood. 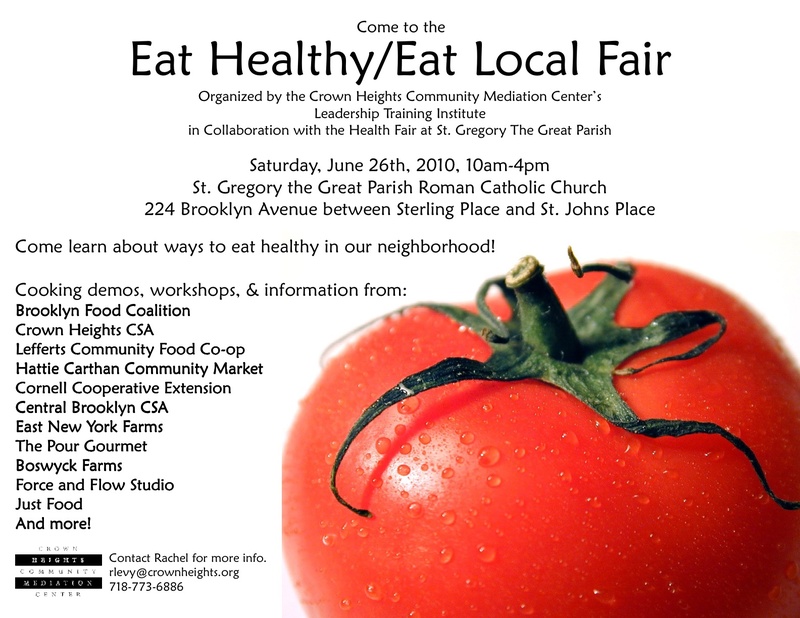 Workshops and cooking demonstrations will be offered by local organizations and businesses such as: Brooklyn Food Coalition, Crown Heights CSA, Lefferts Community Food Co-op, Cornell Cooperative Extension, Central Brooklyn CSA, East New York Farms, The Pour Gourmet, Boswyck Farms, Just Food, and many others. There will be activities and information for the whole family, including a capoeira demonstration and yoga classes from local fitness organizations. The Leadership Training Institute will have available a pamphlet compiled from various local sources of nutritional information and local healthy alternatives. Also, the Crown Heights Community Mediation Center’s Youth Entrepreneurship Program will have for sale their community cookbook, Crown Heights is Cookin’, comprised of recipes from a diverse group of Crown Heights residents. If you would like more information on this event, please contact Rachel Levy at 718-773-6886 or email rlevy [at] crownheights [dot] org. 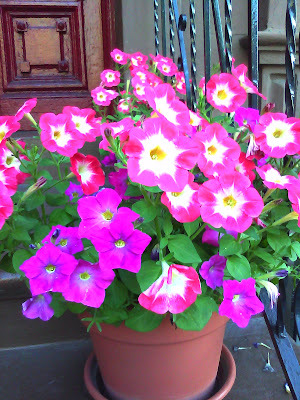 I Love Franklin Ave. has been on jury duty for the past few weeks, which has hindered the blogging somewhat. On the plus side, it's allowed for some exploring of the Downtown Brooklyn and Brooklyn Heights areas during lunch, which despite being well-blogged and well-known, are relatively new to me. 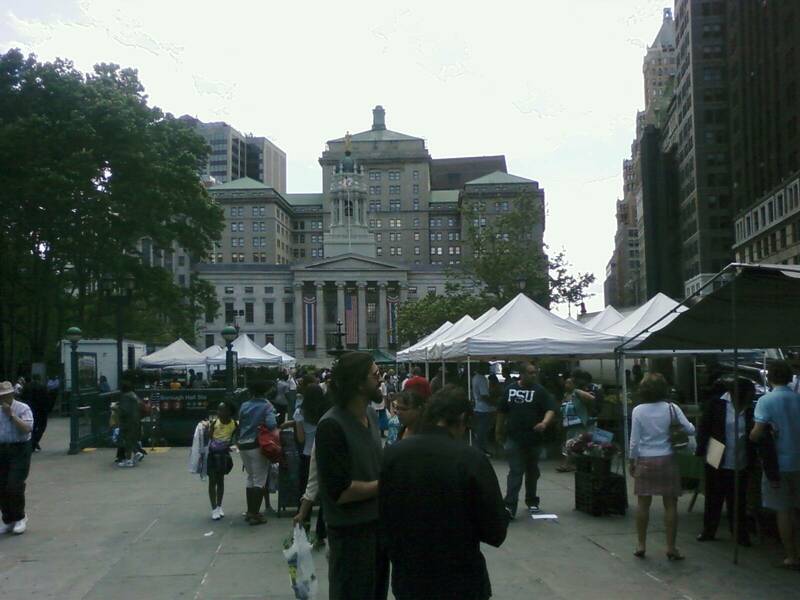 What's surprised me most is the character of the Columbus Park/Cadman Plaza area, particularly on Greenmarket days: with the fresh food for sale and people sitting on the steps of Borough Hall, the place feels as homey as a New England college town! I realize this isn't news, but for someone who's previous experiences of downtown consisted primarily of wandering around Court Street looking for food after movies, it is a revelation. All of which is to say that if you haven't kicked around downtown Brooklyn at lunchtime, you might well have to at some point, and when you do, take a minute to enjoy the scenery. Last week's CHCA meeting offered plenty of food for thought from our great gang of local leaders as well as special guests Letitia James (our councilperson) and Capt. Elvio Capocci, the new commander of the 77th Precinct. Councilwoman James spoke at length about upcoming budget cuts, and the Captain offered his ears to the community, urging anyone concerned about crime on Franklin to report what they see and hear to his officers. He took questions on a variety of issues, including one that caught my ear and suggested this post. A young woman asked Captain Capocci whether his officers go through any training regarding sexual harassment of civilians (by this she meant the harassment of civilians by officers), and what the best course of action is for women harassed by cops to take. Her comment raised a mild stir, and the Capt. admitted that he was "afraid to ask" what such harassment might entail, but she persisted, and the Captain recovered to answer her question, noting that he would take any such accusations seriously if they were brought to him. That said, he added, he can understand if women in the neighborhood felt uncomfortable calling or coming in to the precinct following an incident. If that's the case, he urged them to file a complaint with the Civilian Complaint Review Board (you can reach them at 311 as well). Me: Do you ever get harassed by cops? The Lady: Harassed? For doing what? M: No, no, like sexually harassed. L: Like how? They don't holler at me. M: But do they ever hit on you? L: Sure, sometimes, but it's not like they follow me home or anything. M: That's a pretty low bar. Cynicism aside, there's a real problem here, if my sample of two is representative. It's for this reason that I'm kicking it to the women of Franklin Avenue (not least because, much to my surprise, the 77th's Community Affairs Officer claims to read local blogs, including Nostrand Park and ILFA): Do police officers on Franklin ever harass you? I'm hoping the anonymity afforded by the comment thread will allow people to speak their mind on this, because with harassment by non-cops already a problem on Franklin, the last thing we need is for the police to be part of the problem. PS - I find that sexual harassment of this variety tends to be a fairly hetero-normative, male-bothering-female thing, but by all means, let us know about any harassment that falls outside this box too. If you enjoyed last week's celebration of the Crown Heights Oral History Project at LaunchPad, or if you're excited for the new mural coming to Franklin and Eastern, or even if you just like a tree-lined Franklin Avenue, come out tonight to the Crow Hill Community Association meeting. It's the last meeting for the summer (the next one is in September), and guests will include a representative of the 77th Precinct and Councilwoman Letitia James. The meeting takes place at LaunchPad (721 Franklin Avenue) at 7:30 PM, and if I'm not mistaken, they'll have some light refreshments to facilitate some socializing before and afterwards. 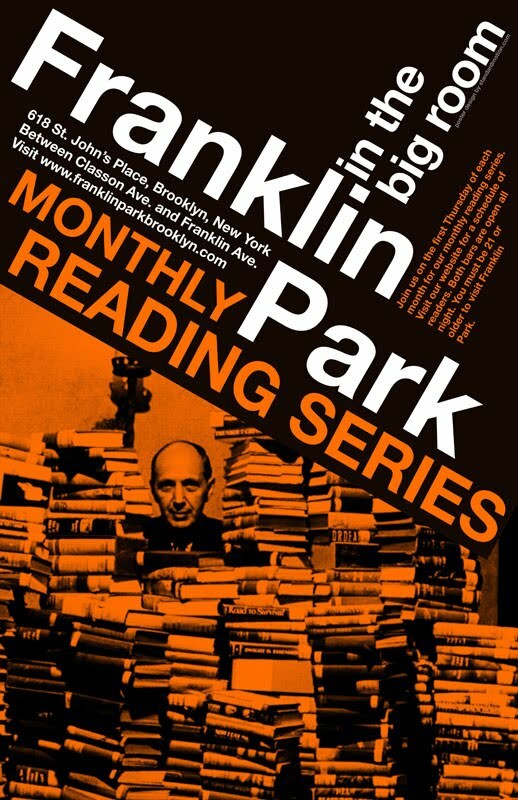 Getting Bigger and Better All the Time: Franklin Park Reading Series on Monday! Penina has done it again, assembling a great line-up for Monday's edition of the Franklin Park Reading Series that's getting recognized all over the city. Noteworthy shout-outs this time around include the NY Press, who named the series one of the best book events of the summer for the second consecutive year, and a nice a write-up from Courier Life (the Brooklyn Paper parents company). The series is tomorrow, Monday June 14, at 8:00pm, and takes place, as always, in Franklin Park's Big Bar, which you must enter through Dutch Boy Burger at 766 Franklin. There'll be drink specials, too. Author ZETTA ELLIOTT, who actually hails from Canada, was recently interviewed for the Crown Heights Oral History Project since she's spent so much time here over the years with family and lived in the area for a time. Her novel A Wish After Midnight explores serious issues of race and class within the framework of a page-turning time travel novel. Brief plot outline: Genna, the 15-year-old black heroine, lives in a dilapidated building in pre-gentrified (2001) Crown Heights. She studies hard, wants to leave her rough neighborhood and become a psychiatrist, and finds solace at the Brooklyn Botanic Garden and the library. After making a wish on a coin thrown into the BBG fountain she's transported back to Civil War-era Brooklyn. "One of the attractions of Kaboom is its first-hand reporting, unfiltered by a journalist’s interpretative ‘framing.’ Whenever a tense situation arises, whenever bullets start flying, Mr. Gallagher and his soldiers rush to the scene and instinctively take charge through pure force—and we’re right at their side. Mr. Gallagher brings the reader down to the stinking streets, through the sewer water and into meetings with cunning sheiks and sycophants…"
And we have an acclaimed poet, HILA RATZABI, who's also the poetry editor at a literary journal and host of a poetry reading series. We're also trying something new this time -- SINI ANDERSON and her performance partner AIMEE NORWICH (aka "Amos") will be debuting a brand new piece featuring music and video. LaunchPad has become a Franklin Avenue fixture since it first opened its welcoming doors three months ago. Below is a calendar of their offerings this coming week, complete with yoga tonight at 7 & 9. Wind down your weekend with yoga at LaunchPad. Yoga mats are available for public use. This panel brings together four working artists who look to other media for inspiration and sustainability. What's gained by looking to other traditions? What's lost? How do different disciplines come together in the first place? An evening of poetry readings. Five poets will read. A mourning for the loss of the B48 bus below Fulton (among other buses). "Musicians" from Crown Heights and Bushwick will pay their respects to the bus that once connected them. The kick-off for Summer Streets on Vanderbilt begins this Saturday, June 12 with a World Cup celebration including a screening of the World Cup matches outdoors on Vanderbilt Avenue. ESPN will be sponsoring an open-air viewing of the games on a large high-definition projection cube that will be set-up in the middle of Vanderbilt Avenue between Dean and Bergen Streets. ESPN will also be sponsoring the ESPN Interactive Zone, which will include lots of games and give-aways. Outdoor screening of matches begins at 10 am with the Argentina-Nigeria match and continues at 2:30 pm when the USA faces England. This Saturday, June 12th, and on Sundays June 20th and 27th from 12 pm to 5:00 pm, Vanderbilt Avenue between Dean Street and Park Place will trade cars for pedestrians, and honking horns for dancing beats. Four blocks of the avenue will be closed to traffic and transformed into a pedestrian plaza for the second annual Summer Streets on Vanderbilt. In addition to the World Cup events, there will be inflatable bouncy castles, face painting and hula hoop contests, capoiera and fashion shows. Local bands will take center stage and restaurants will flood into the street with outdoor dining. Presented by the Vanderbilt Avenue Merchants District (VAMD) and the Prospect Heights Neighborhood Development Council (PHNDC), 2010 will mark the second annual Summer Streets on Vanderbilt. More information about the event can be found at www.vanderbiltave.com. Press inquiries please contact Bianca Sultana PR at biancasultanaPR.com. To volunteer, contact danaeo@optonline.net or 718-772-3074. 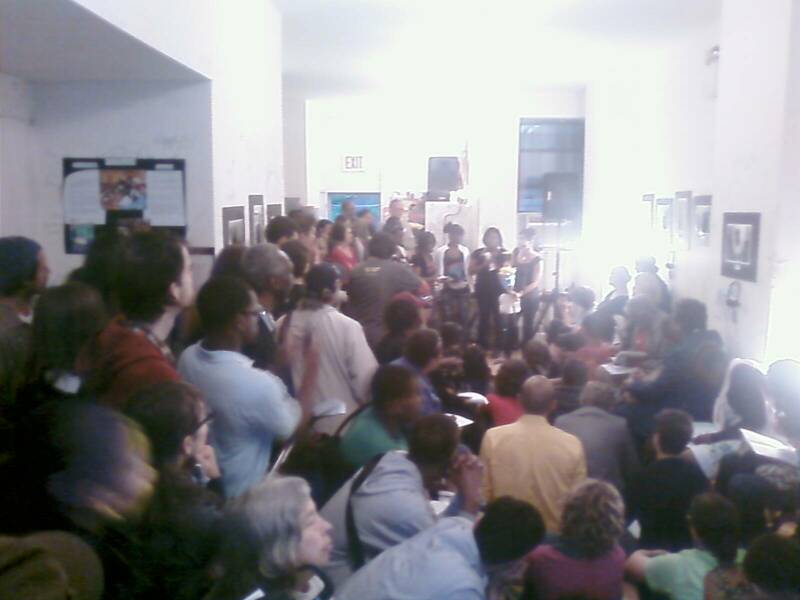 Last night's culminating even was a huge success for the Crown Heights Oral History Project, as a crowd of well over 100 people packed LaunchPad to hear organizers and students discuss the project. We heard from CHCA President and longtime community activist Evangeline Porter, Councilwoman Letitia James, and several local educators from Brooklyn and Medgar Evers Colleges, the Brooklyn Public Library, the Brooklyn Historical Society (who are promoting the exhibit on their blog), and Paul Robeson High School, home to the five young ladies who made this all possible, and whose grace and poise was evident throughout the evening. We heard three excerpts from interviews, but the entire collection can be heard for free at LaunchPad, where MP3 Players hang from the walls underneath photos of the interviewees. If you didn't make it last night (or even if you did), swing by LaunchPad soon to absorb all of the wit and wisdom these five students collected. On the heels of a wildly successful event last night (more to come on that shortly), the Crow Hill Community Association's 25th Anniversary celebrations continue this Saturday and Sunday on Eastern Parkway and Franklin, where organizers will be priming the construction fence for a mural project to be completed in September. If you were inspired by the work that CHCA has been doing over the past 25 years, this is a great opportunity to meet like-minded folks and get involved. CHCA is supplying the paint, brushes, and rollers, but they'd love for people to bring drop cloths and ladders if they have them. Priming goes 9-5 both days, and it helps to sign up for a specific time slot by calling 917.838.2421 or going to http://www.crowhillcommunity.org/. The mural itself will be similar to the one at the Lincoln Road exit to the Prospect Park B-Q stop. Rather than try and produce an overarching vision for the entire space (which is necessarily temporary), individual artists will each take over a single 4'x8' panel and execute their own vision. 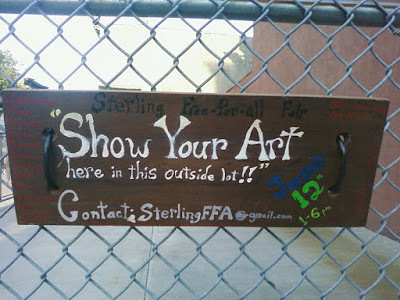 Final painting starts sometime later in the summer, but if you've got a great idea, it's not too early to stake a claim. 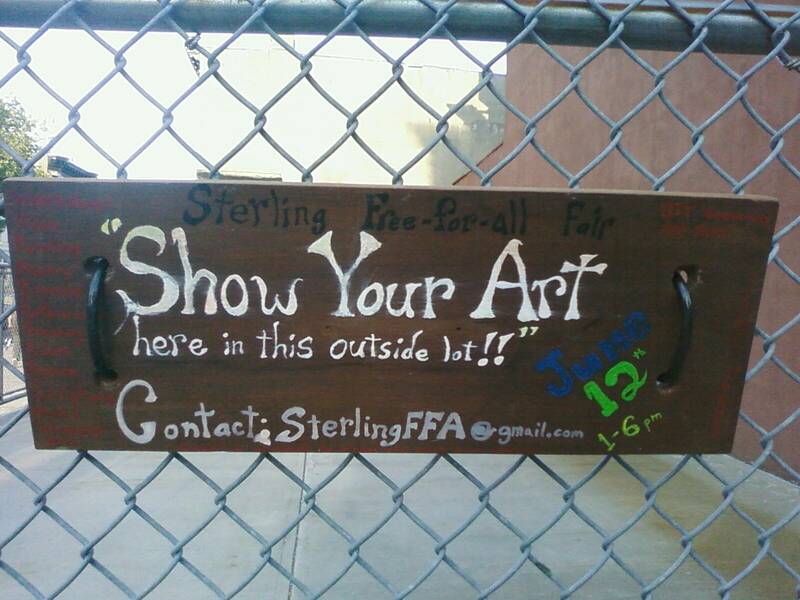 Sterling Free-for-all is a DIY community art fair happening Saturday, June 12th, from 1-6pm. Chris VanDoren and a few other Pratt students who graduated last year are organizing the event, which is open to anyone. Chalk draw where you please, see live performances, a video projection "tent", enjoy object making workshops, a storytelling booth, some free food, and art on display. The event is free and nothing is being sold there. I am still hoping for more artists to participate and show their works off and/or perform; they can email me here and arrange what they need to do so. I was looking around for an unrented storefront to use for a pop-up gallery, after reading about them online and attending a few shows in similar spaces. This space was available (though I believe it is no longer being lent to anyone for the summer) and seemed all the better for being so open. Hope the weather is good! 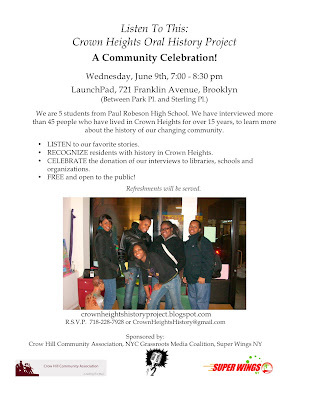 Who: The Crown Heights Oral History Project, a group of five local high school students led by an experienced StoryCorps historian and sponsored by the Crow Hill Community Association. What: Their final event, celebrating the collection of over 45 stories from longtime Crown Heights residents, and featuring the presentation of some of the most interesting things they heard. Free and open to the public. Why: Because it's going to be awesome, that's why! 1. In the spirit of Saturday's music post, I urge all of you to check out Listen Up, an old friend's excellent music blog, which consistently has solid tunes on the streaming player (unlike me, he knows how to actually use the internet), as well as links to great videos and interviews (like me, he's a Hold Steady fan). Bonus: He's got a great Flickr photostream, too. Double Bonus: I just heard this track for the first time today (if you listen to it, give it until the first chorus). I really like it. I have no business music blogging, but nonetheless, it brought me joy. 2. 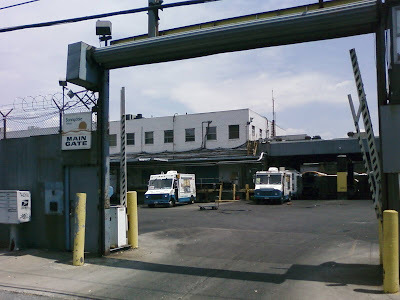 After a nice comment from a fellow UChicagoan on my uberpost two weeks back, how could I NOT link her great Brooklyn photo-blog, For The Love of Brooklyn? Give it a look. 3. Finally, another old friend has launched an ambitious project to explore NYC and find love (or at the very least, a whole lot of fun) by taking 24 dates to 24 secret sites in the Five Boroughs, in conjunction with Key to the City, the public art project that's encouraging New Yorkers to explore the city and share their passions for it with one another. She'll be documenting the whole endeavor on her new blog, Key 2 the City, Key 2 my Heart, and I can promise you it won't be boring. The technical side of blogging is not I Love Franklin Ave's strong suit, but after a full week of trying, this incredibly low-quality cell-phone movie of kids playing in the hydrant to the rhythms of the drummers outside The Pana Store last Sunday is here! Hooray for that, I suppose. Jazz: Brooklyn's Beat, a program of Heart of Brooklyn, kicks off its month-long celebration of the art form in Brooklyn with Samba with Sea Lions at noon in the Prospect Park Zoo. If you read this the moment I post it, you've got plenty of time to get down there! Check the calendar (linked above) for great events throughout June. Later in the evening, you can head up Washington from the Zoo to the Brooklyn Museum for another Target First Saturday for more Brooklyn jazz from the J.C. Hopkins Biggish Band from 5-7pm. DJ Moni closes out the night there with a mix of house and soul from 9-11pm. If you like your jazz even closer to home, LaunchPad hosts a Jazz Extravaganza tonight featuring modern jazz quartet RockFace and Stem Trio, both from the borough of Kings. Trashed on Fiction have a new EP, Simple Sun, out now and available for download on their website. They bring their expansive, alt-rock-folk sound to a pair of local shows this month, at the Charleston on the 16th and Sullivan Hall on the 17th. The House Floor, with at least one member based in the area, continue to offer their fantastic full-length album, Warship, for free on their site as well. The album was one of Nerve.com's Top 5 Albums You Should Be Listening To Right Now back in April, and it continues to satisfy after several listenings. Image via The Trend Is Near. Today, June 2, is National Running Day. If you've been looking for an excuse to get moving and enjoy the summer weather, take advantage of the late sunlight after work and get out for a run in Crown Heights! New York Road Runners will have a table set up with information about running for newbies and old hands alike at Grand Army Plaza, but you don't have to venture all the way to Olmstead's favorite park (that's right, Central Park, he and Vaux improved with age) to enjoy a great scenic run. Crown Heights has some spectacular, tree-lined, architecturally beautiful streets to take in, as well as a few of its own lovely parks. If you're looking for routes, I mapped a four-ish mile trek around the neighborhood that hit a few of my favorite landmarks for this day last year, and last fall I put together this post with some general distances listed for local parks and streets. Of course, the best thing to do is just throw some shoes on and head out the door on an adventure--you never know what you might find!